Here is a look that I usually don’t wear often. This is because it is really difficult for me to find pants that actually suit me. Which is the reason why I mostly wear jeans. Usually pants like this are way too big around my waist. 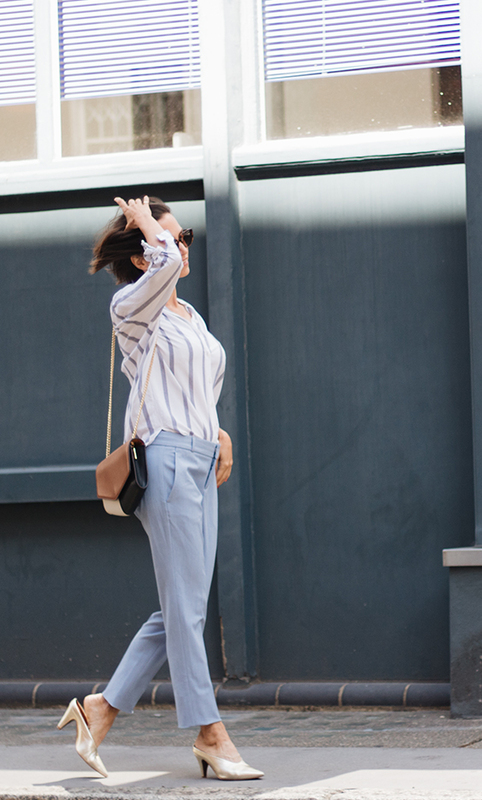 I came across this pair of light blue trousers on the Banana Republic website. Since light blue is one of my favourite colours I had to order them. To be honest, I didn’t expect them to fit me, but hope dies last… et voila they actually suit me well! Even though they are supposed to be a bit tighter around the hips, I’m still happy about the way they look on me. I’ve already received many compliments when I wore them. I was so excited about finally having found a store that sells petite trousers in my size, I ordered a couple more trousers in different styles and colours. Unfortunately not all of them fit me as well as the light blue ones do, but I was able to keep three of them. So if you are petite and you are looking for petite trousers, try these ones from Banana Republic. Their cuts are amazing and the quality is also very good. 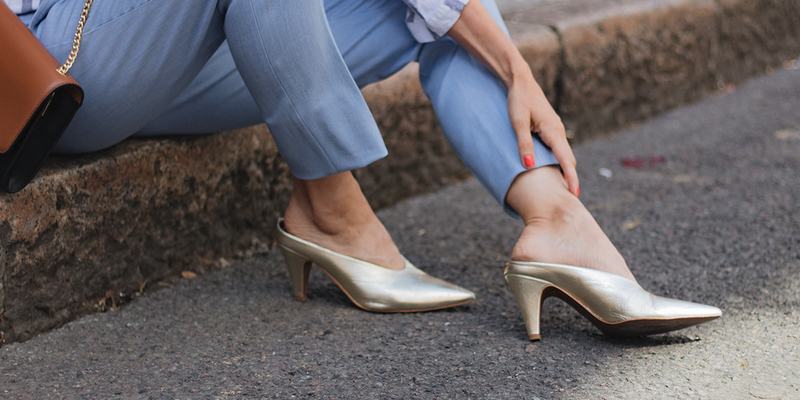 The trend to wear golden shoes is big this year and I love how they look with those light blue trousers. What is your favourite shop for petite styles? Let me know in the comments below!